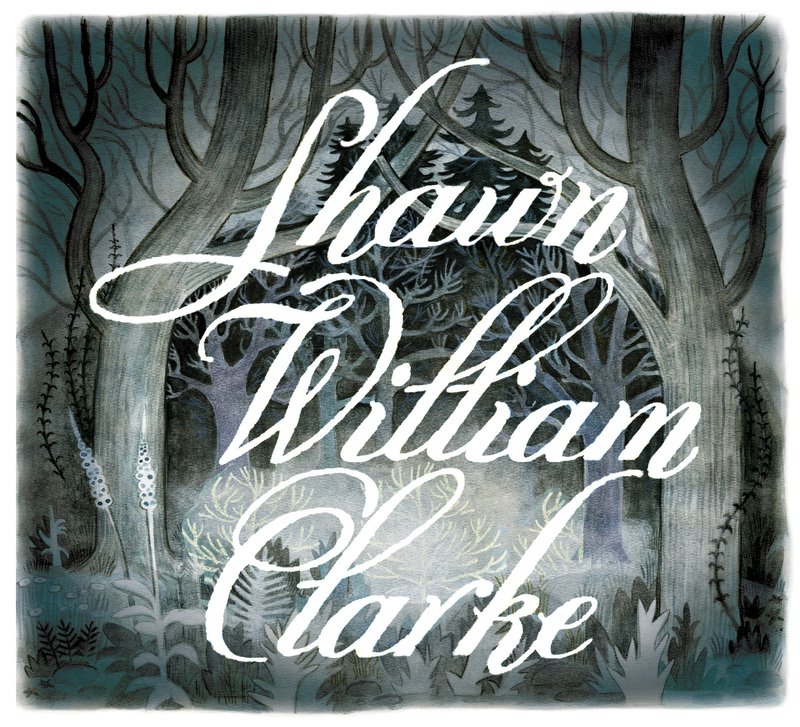 It’s already shaping up to be a pretty good winter for Shawn William Clarke as he rolls out his sophomore solo effort, William. The folk musician, a former sideman to Timber Timbre and Olenka and The Autumn Lovers, was recently named best songwriter runner up in NOW Magazine’s annual best of collection and a recent tour has seen him sitting down for his first CBC interview. He’s also getting plenty of support on the home front. Clarke recorded William at Currie’s Music and Collectibles in Gravenhurst—hooking him up with some famous guitars—and Ohbijou’s James Bunton served as the album’s producer, while the Hamilton-based Sarah Beatty offered up her vocals to compliment Clarke’s smooth, engaging tone. William is, by and large, a primarily soothing album—the kind that’s hard to resist when temperatures drop and staying home in a dreamy haze becomes an ideal state. The tracks are simple, notes quietly ringing out as Clarke uses the gentlest touches to orally illustrate what he’s singing. It’s a thoughtful, well-matched dynamic that lets him drive attention to those prized words without having to depend to heavily on them. Though when he goes bigger—like opening strong with a trumpet call, slipping in a fun waltz, or picking up his usually lugubrious pace on “I Blame The Loyalist Ghost”—the songs tend to stand out even more, and not just because they’re different. The humour of “Loyalist Ghost,” coming almost halfway through the album makes for a nice display of range as Clarke sounds more modern and poppy despite the very traditional style he’s emulating. But from the very first song, “Ten Years Ago,” it’s obvious Clarke’s soaring vocals and poetic bent deserve to be the focus and his slowest numbers are the best for reveling in that. “In Conversation” straddles the finest of lines here, capturing the best of Clarke’s songwriting with a faster, country-touched beat that still really only sets the pace for that clear voice. It’s that peculiarly rhythm that insists on a little more attention to keep up with the words flying by as Clarke lays bare his own work. Slipping on a pair of headphones, lying back and settling into Clarke’s soothing slow songs makes it clear why NOW came so close to offering him the crown and why his second full-length album, four years in the offing, has already been met with so much attention. It’s a rich exploration of folk that knows it doesn’t need too much to dress it up.